I acquired a second hand Corado 4 this summer and I'm really pleased with it. 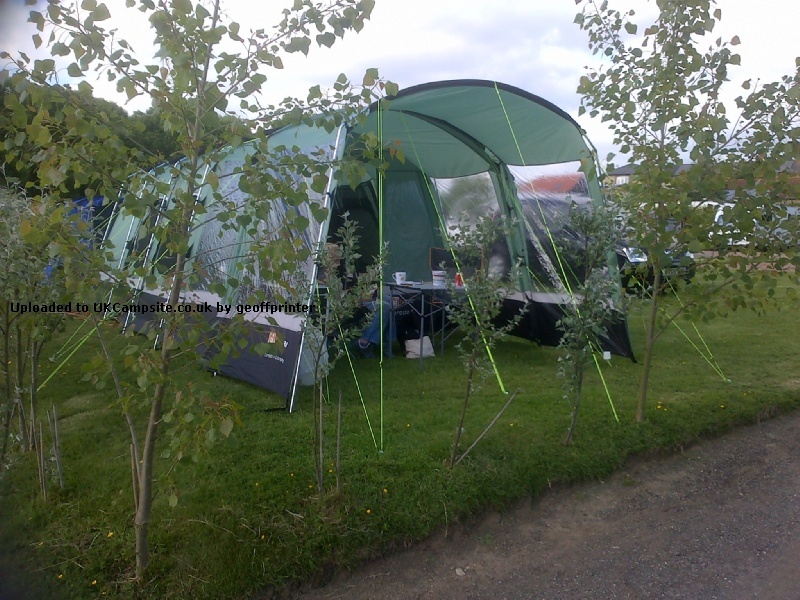 The extended canopy provides a great cooking area, as long as the wind isn't blowing straight in the front! The sewn-in groundsheet in the living area makes it really cosy in there. It can make it prone to condensation but there is good ventilation, just remember to open it up. 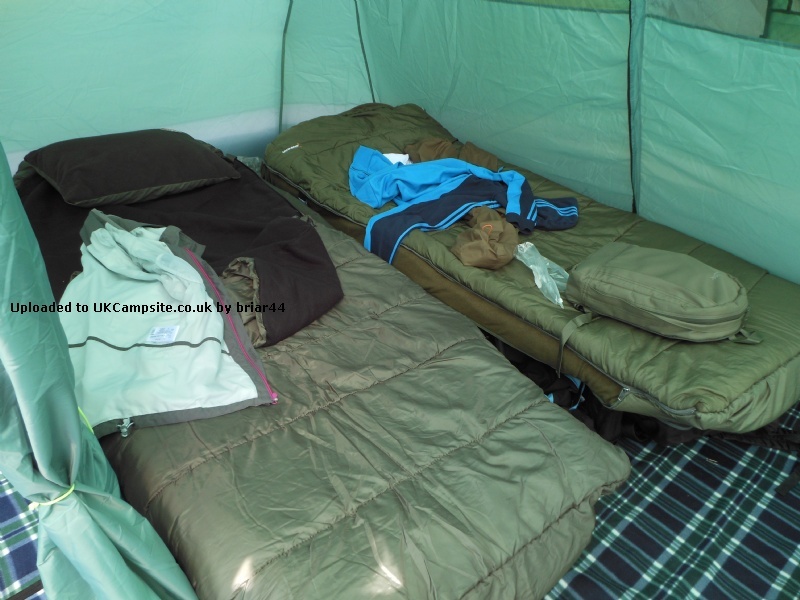 The bedrooms are quite small for the size of the tent, they just fit a double airbed, but when opened up into one room, we can fit two full size camp beds in there. The only negative is the lack of hooks/hanging points for lanterns etc. We used it a couple of times with no trouble, then took it to a festival. After two days of almost constant and at times unbelievably heavy rain, it started to leak. Once it had started, it just got worse and worse. After a thorough inspection, no holes were found and the seams looked fine. I gave the fabric a good coating of Fabsil and took it out again. The weather wasn't quite as bad this time but we had a couple of heavy showers. No leaking this time. I have no idea how old the tent is or how it has been treated by its previous owners, so I don't blame the tent and re-proofing it seems to have done the trick. 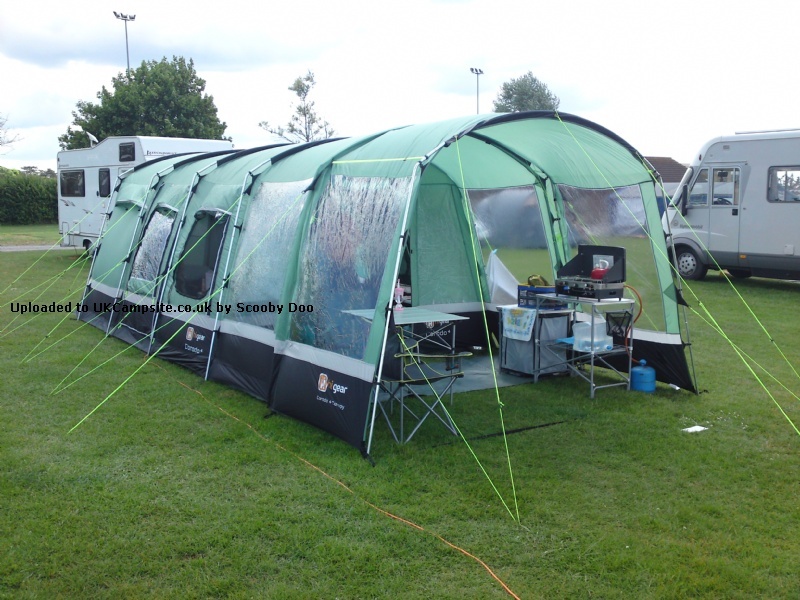 Overall, a great tent for those who like a bit of space and comfort. They don't make them any more, but if you are thinking of picking one up second hand, don't hesitate. Its a great tent. As with any second hand tent though, consider investing in a tin of Fabsil too! The best tent we have ever owned . Plenty of space to stand up , loads of storage pockets . Easy to put up . 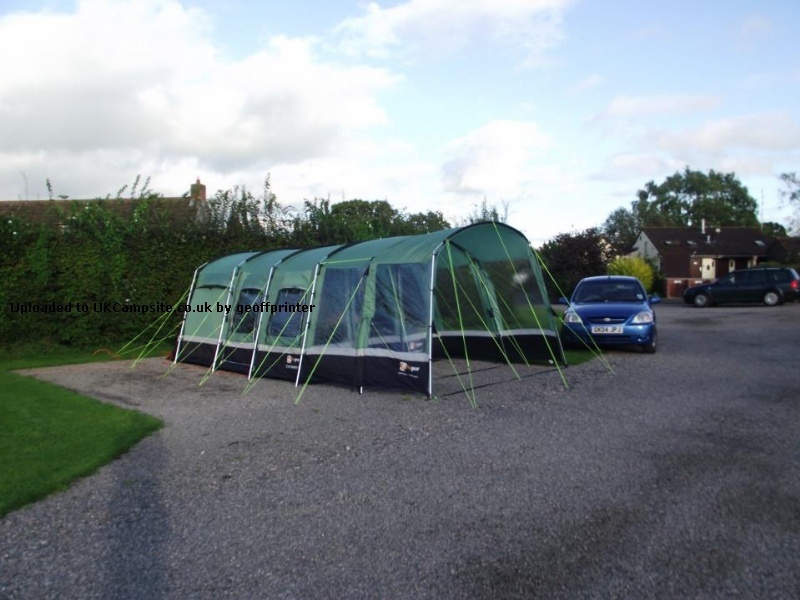 The canopy is well worth purchasing , plenty of space for cooker , BBQ etc to be kept outside but dry . Really sturdy even in wet and wind. Great value for money . 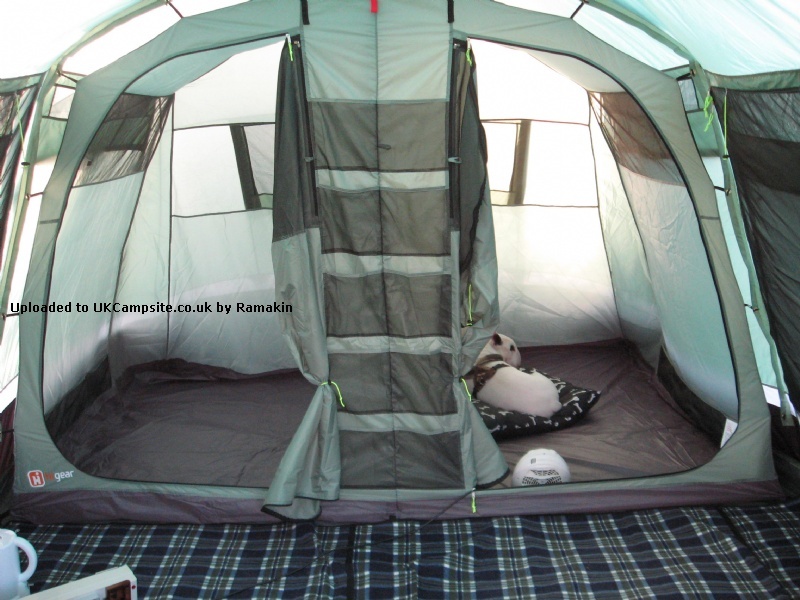 This is a 4 berth tent but could easily sleep 5/6 people . 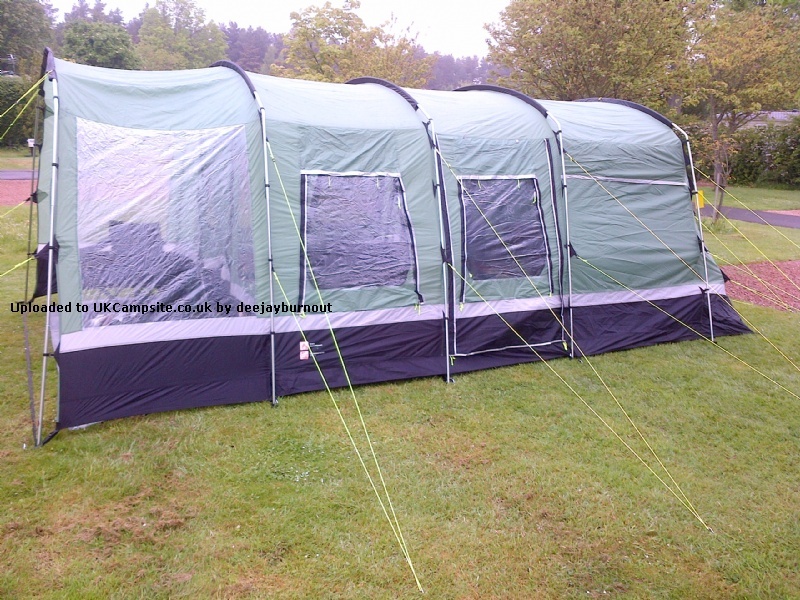 Brilliant tent.We had 50mph gusts in June and torrential rain not a drop came in and no damage at all.Lots of room to walk about in and with the extension canopy can leave cooking equipment out in the porch without it getting wet.Mesh on all windows and side doors.Would recommend this tent to anyone. Agree with all the other reviews. 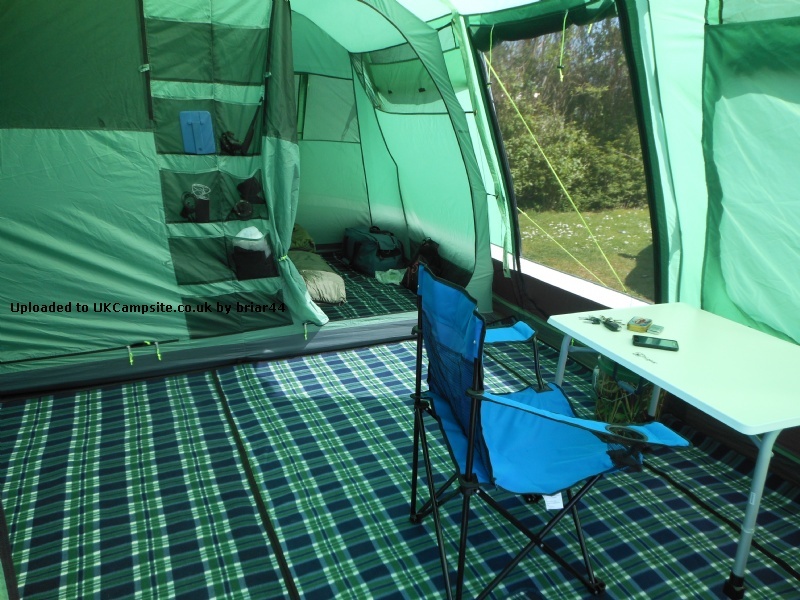 We are a couple in our 50s and this is an excellent tent, very roomy and airy and lots of options for windows/doors with curtains and flysheets for various weather conditions. We spent a month touring Europe in it in 2011 in all types of extreme weather. It never gave us any problems. 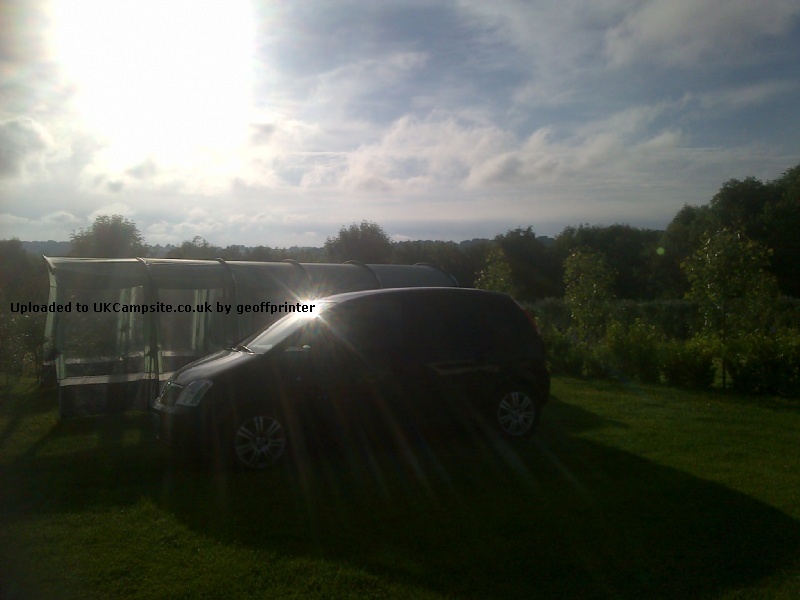 We didn't camp at all in 2012 and so far have only used it once on a long UK heatwave weekend in July 2013. The tent is still as good as ever. We have the carpet, but didn't bother with the extension as the built-in one is ample for us. In Europe in 2011 we got 'de-camping' down to 20 mins to put all our gear into our tiny VW Fox with room to spare. Other campers joked that we could park our car in our large tent! I agree about putting a Velcro strip on the base of the front door as others have stated, and will be doing that on our next trip. 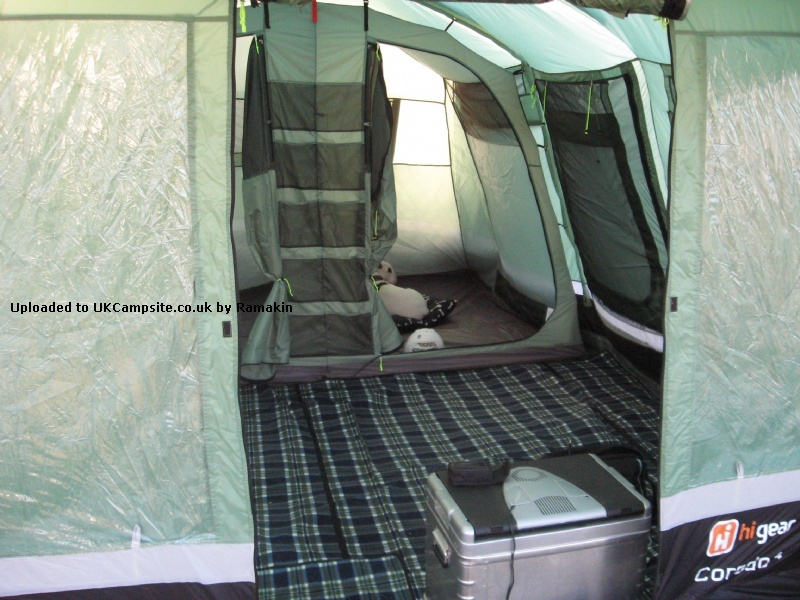 Other than that minor niggle, we love the tent for the feeling of space, airiness, privacy and security it gives us. I don't think HiGear make this model any more which is a shame, but if you do see it anywhere, don't hesitate, buy it. Excellent tent. Very happy with it. Used three times in 2012. Easy to put up as long as long as there is two of you, its not so easy on your own. Very tight guy ropes are very important, otherwise even a light breeze makes it sound like your sleeping in a Tesco carrier bag. I would have liked there to be more storage pockets in the sleeping compartments, there is nothing worse than waking up in the dark in the middle of the night and not being able to find you watch/phone to find out what the time is. I'll def be taking the advice from earlier reviews about adding Velcro to the bottom of the door, other than the draught, the gap means the dog can wander out whenever she pleases! 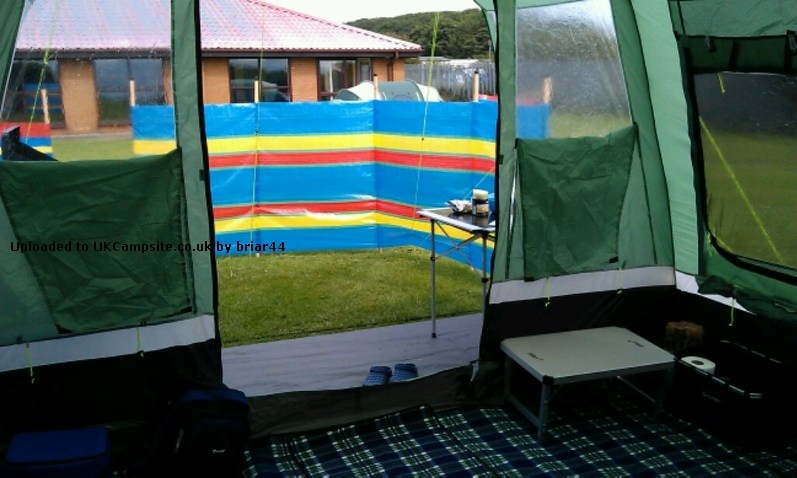 Windbreaks are good, and I'll be buying a porch extension next time I'm at Go-Outdoors. Not sure about the optional carpet though, why on earth would anyone want a carpet in a tent ! Brilliant tent perfect for 2 if you want loads of space. Steel poles for added stability although the bag is heavy. It absolutely chucked it down with rain not a drop of rain got in. Loads of mesh windows and doors. The addition of the extra canopy made it perfect for sitting outside even in the rain without being enclosed. 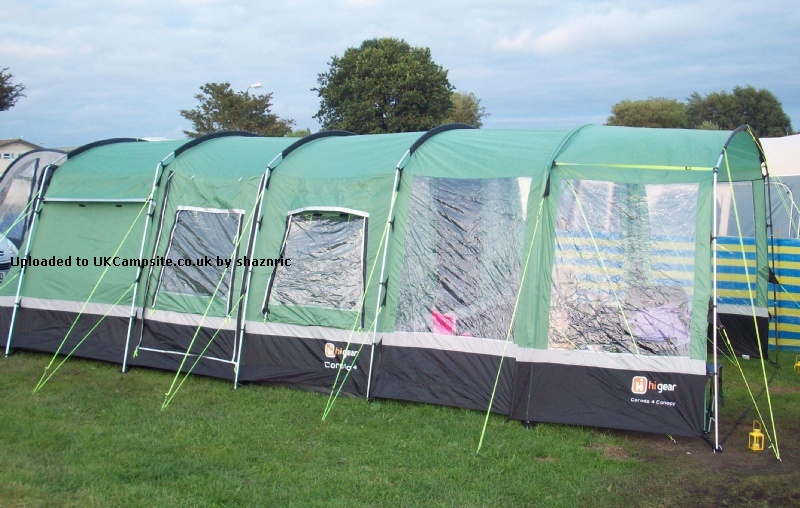 Having read such excellent reviews about this tent, including the difficulty with the front door, I used the specification initially to compare size, features etc. 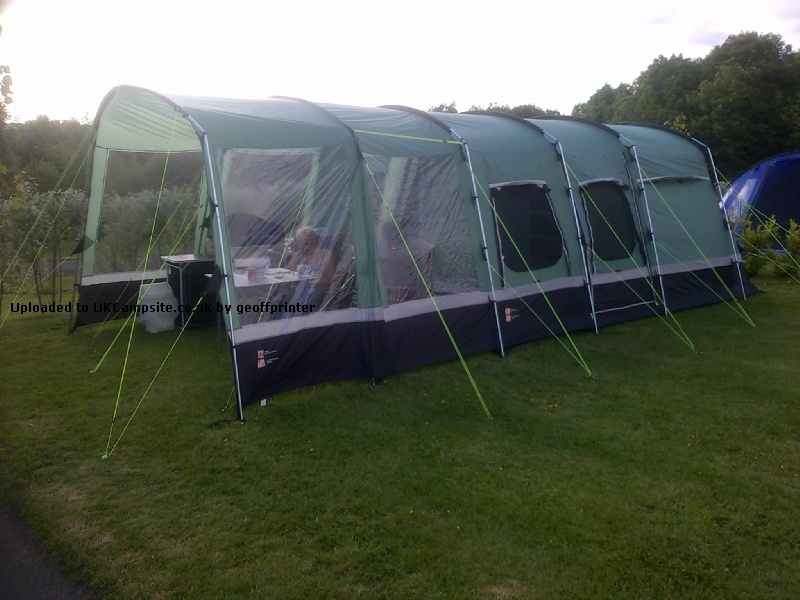 Against other similar priced tents available from other suppliers and other makes from Go Outdoors. It appeared to be good value and of excellent size so I bought one. 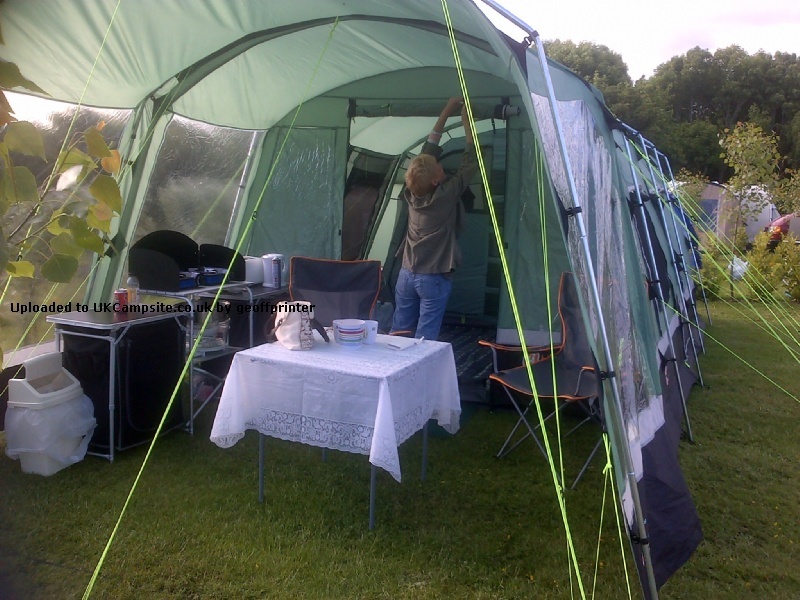 I was amazed how quickly my wife and I (both late 50s) got the tent up in our back garden. On looking at it I thought it was large but we like space. It also has excellent headroom clearing my 5'10� easily. The bedroom can be separated into two, although we keep it as one very large bedroom. We also liked the colour of this tent. We also like the additional features of side storage pockets in the bedroom area in addition to the twelve pockets on the outside of the bedroom area. We bought also a large picnic rug which we use as a carpet in the bedroom which finishes the bedroom area nicely and gives us with the footprint 4 layers from bedroom floor to ground. I recognised early the fault with the front door and bought self adhesive Velcro, and further secured this with Copydex and this sealed the door with almost no draft blowing through. 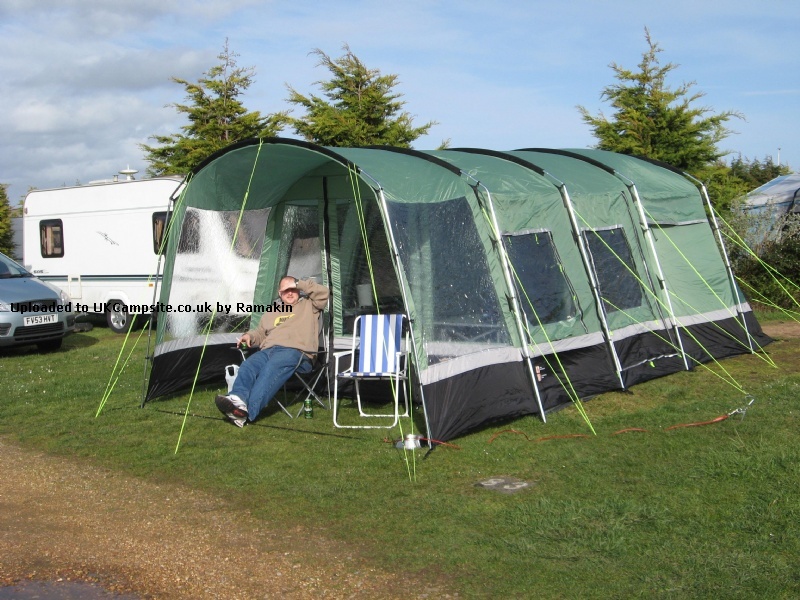 The double guying system gives a feeling of strength and rigidity and makes you feel confident that it will stand up to adverse weather conditions. I also like the adjustment in the straps at the base of the poles which gives tension and rigidity to the lounge floor space. The electric cable access point into the tent can be closed around the cable with a zip, helping to keep bugs or the elements out. We have the lounge area carpet which adds a bit of luxury and feels great underfoot. Warm when the weather is cold and cool when the weather is hot. 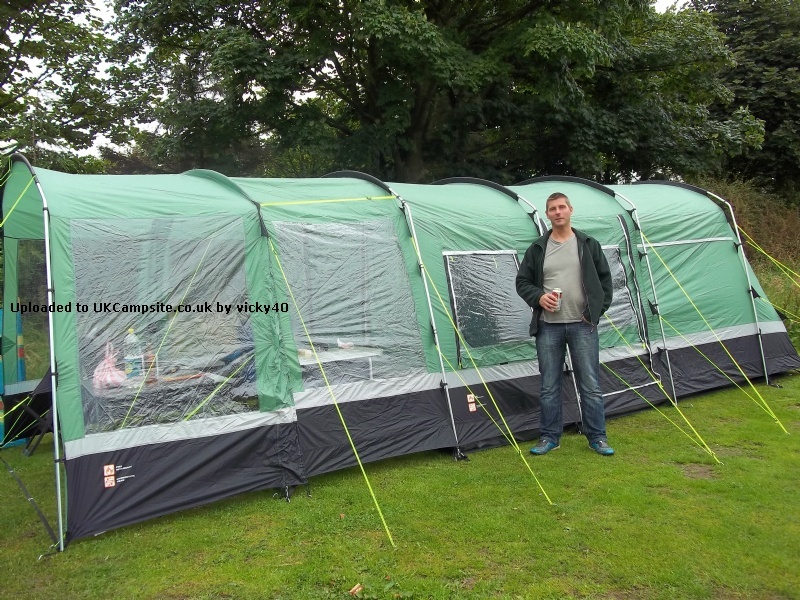 The first time we used it in April 2012 on the North York Moors the weather was foul with heavy rain and strong winds and it didn't move an inch, nor did it leak anywhere. The second time we used it in Great Yarmouth the weather even worse and still no movement or leakage of rain. 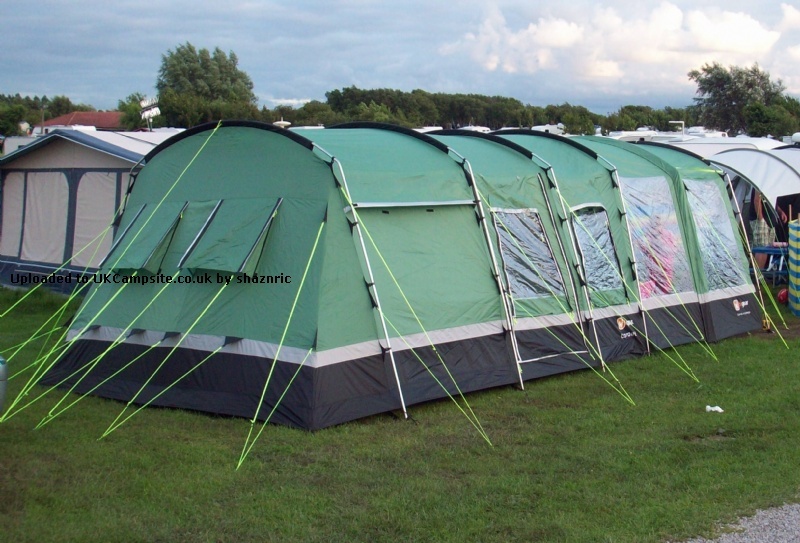 The green colour also lets in more light than other darker colour tents. We love the amount of windows in this tent to watch the world go by, and two side doors also. 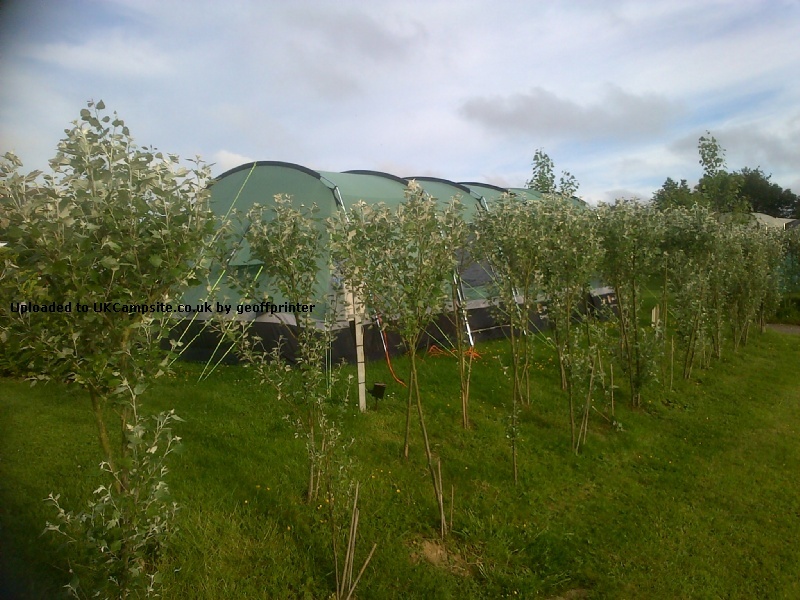 The vents on each window gives fresh air which was necessary on our third holiday in this tent in Cornwall. The side doors and windows have fly screens as well. 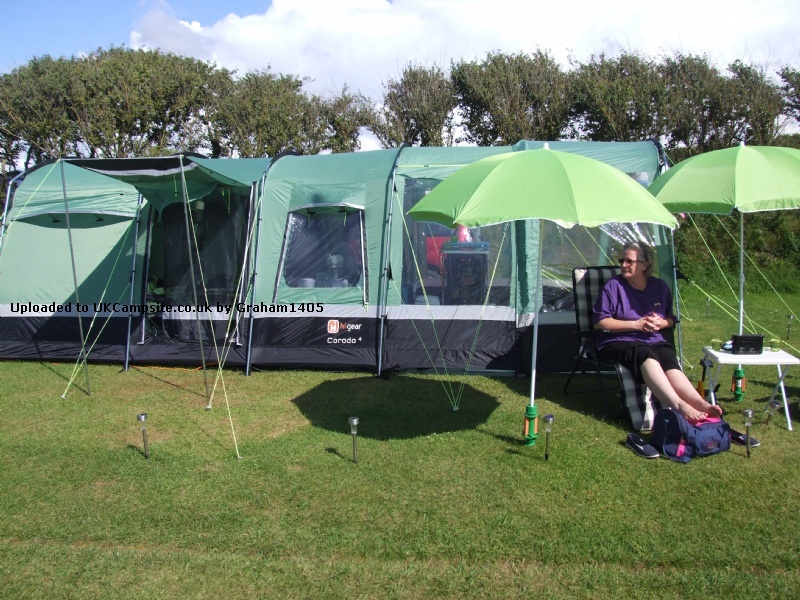 We love to sit out day or night in the front canopy of this tent which gives shelter from the wind or sun if you want it, and subsequently we have bought the add on canopy and this gives us even more great outdoor space for cooking, or relaxing in the evening. I can't think of a thing that is wrong with this tent. 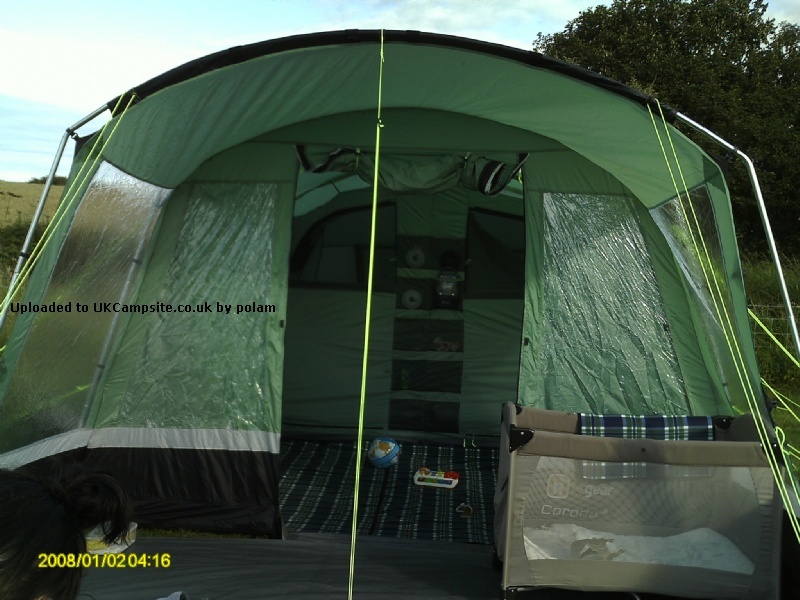 We now have the matching windbreak x 2 which makes the whole tent and camping experience comfortable, spacious and relaxing and no way do I regret buying this tent. It has proven in a short time to be one of the best investments I have ever made. It packs away quite easily when folded and then rolled. Although a big tent like this needs a lot of poles which are heavy. We bought a second tool bag large enough for us to split the poles into two bags to share the weight. 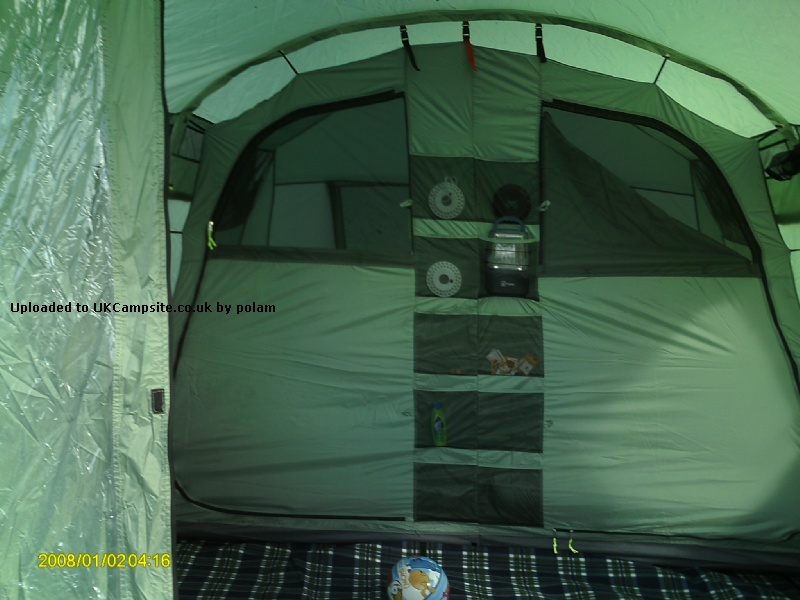 This tent is excellent value for money and I have not seen a better tent since I bought it. I have replaced the standard guy line adjusters for glow in the dark line-lok adjusters and I use glow in the dark 20cm pegs just for safety reasons in the dark, my preference not a fault with the tent. 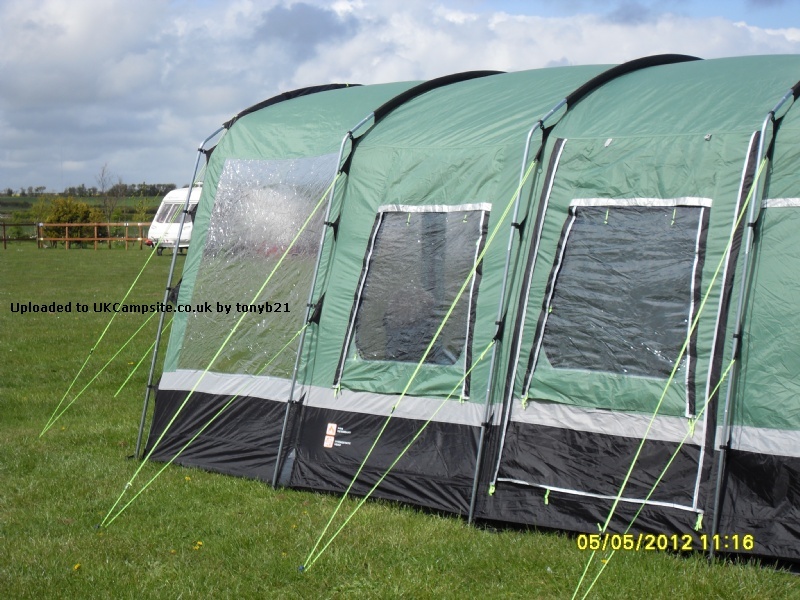 Fantastic tent, and my wife and me can't wait for spring 2013 so we can enjoy our Corado 4 again. 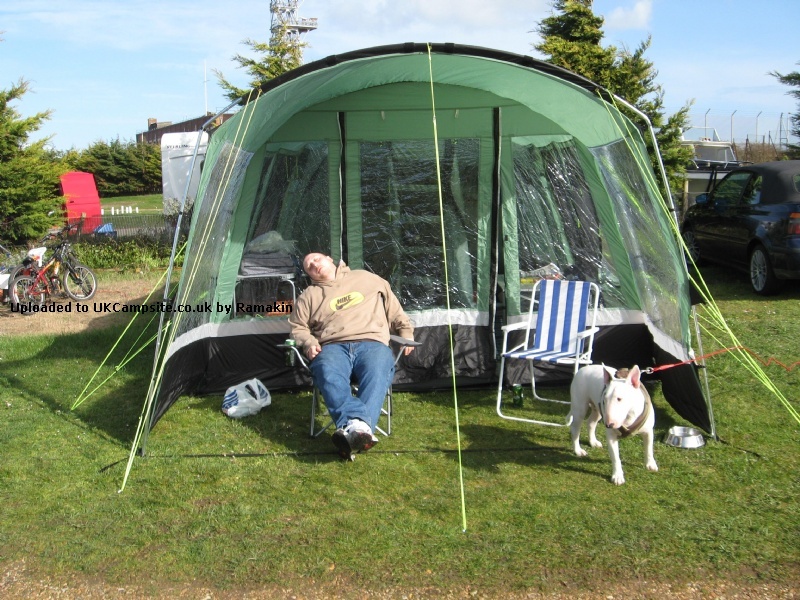 This is an extremely spacious tent and is a great height meaning my husband of 6'2 can stand up in it with room to spare. The bedrooms are bigger than they look and can hold a double airbed with ease. There are plenty of windows to let in light and can be unzipped to just have the flynet and let in a breeze. There are lots of air vents too. It is a very sturdy tent and we used this in high winds and it hardly moved. Took me and the husband about 30 mins to erect on our 1st go. 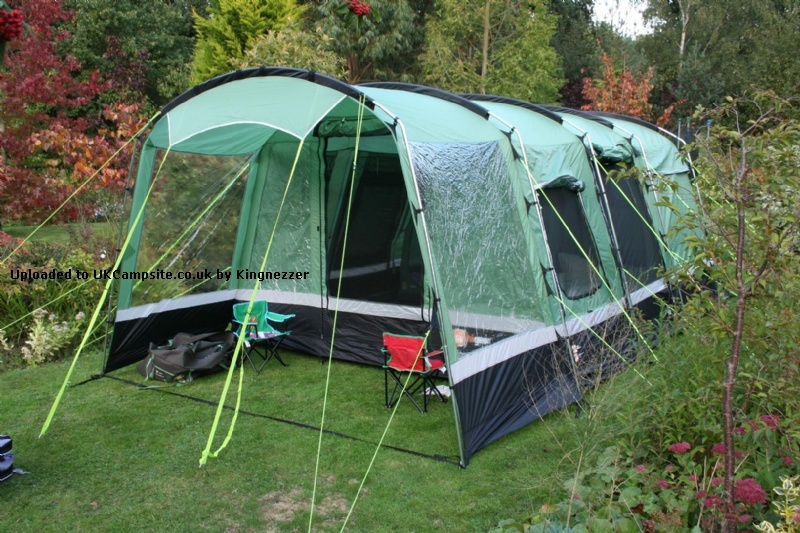 Would highly recommend this tent as it is larger than your average 4 berth tent. (It is bigger than some 8 berths we found). The carpet,footprint and canopy are an added bonus. We purchased the carpet for the living area which made it really cosy. Our existing ground sheet did the job. 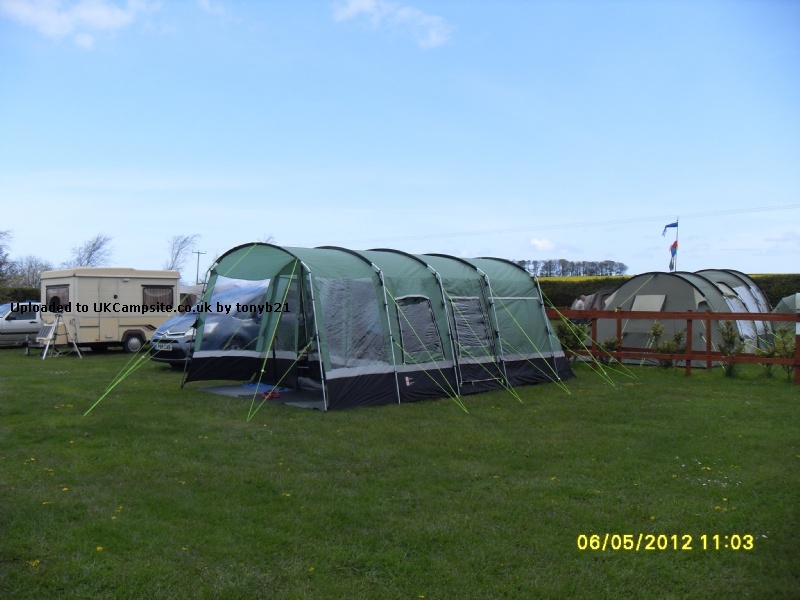 We will consider the porch if we see it in a sale but the tent is so big already, we really don't need it. I can't thing of a thing that is wrong with this tent. It rained when we were packing up, (the tent inside remained dry) but we put it up in the garden in the afternoon and within an hour it was bone dry and we could repack it. Love love love this tent! We bought the Corado 4 after seeing it set up at the Stockport store last year where we instantly fell in love with it! This is only our 2nd season of camping and we upgraded from the Rock 5 (2010) and bought the footprint and carpet too. 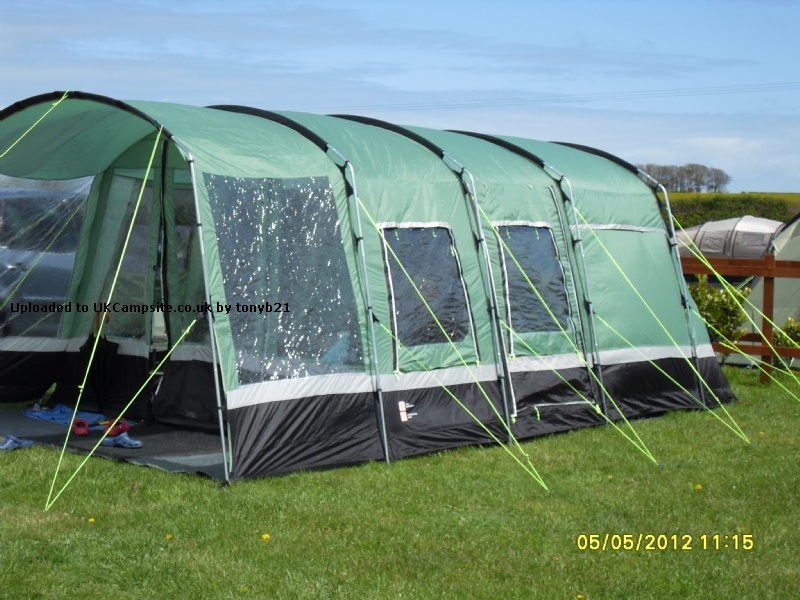 This is an incredible tent, it stood up to the elements of the Anglesey coast over Easter, May and the Jubilee Weekend and the space inside is amazing! 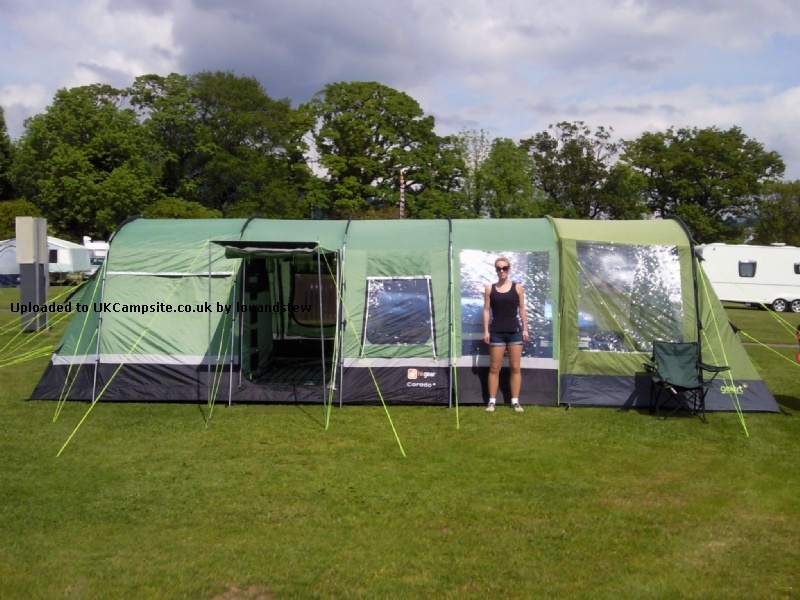 We still can't believe it is only a 4 person tent, it's HUGE! We knew it would be cold at night so we put the carpet from the Rock 5 in the bedroom and it fitted perfectly so we were very comfy! The attached canopy is a real bonus and we did all the cooking in there, feeling quite protected from the wind and rain. 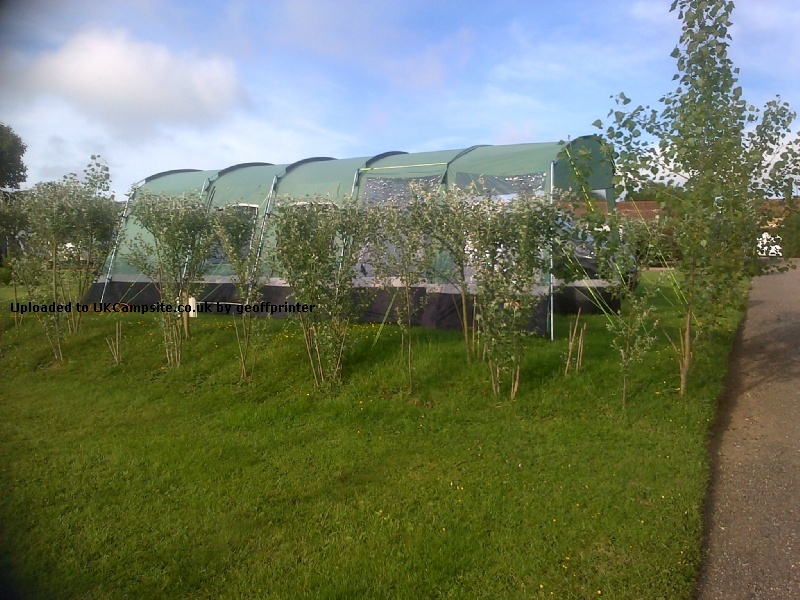 We are going to purchase the canopy extension for additional protection! There are several windows that open up completely or with fly screens, providing adequate ventilation. Having 2 side doors (in addition to the front door) that also have windows is also a bonus as we could swap our entrance/exit when the wind changed direction! 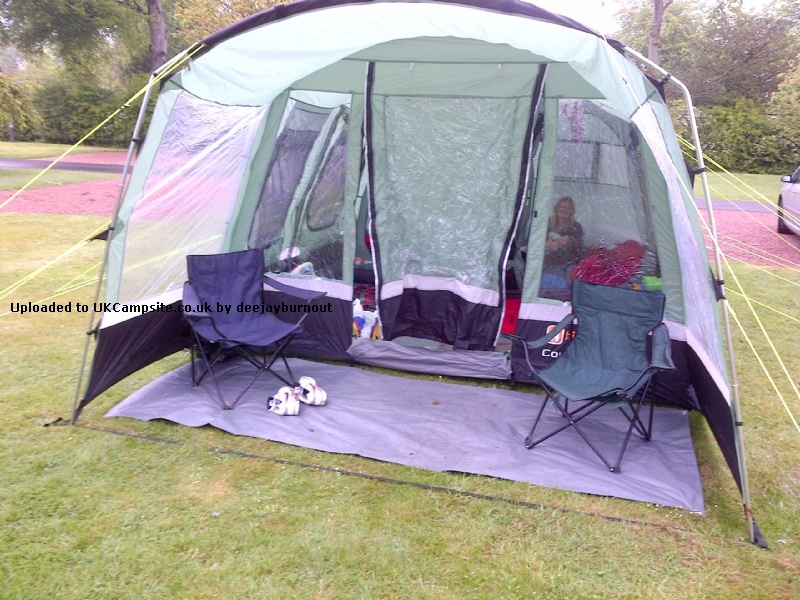 We would highly recommend this tent - it's fab! Add your review of the Corado 4! 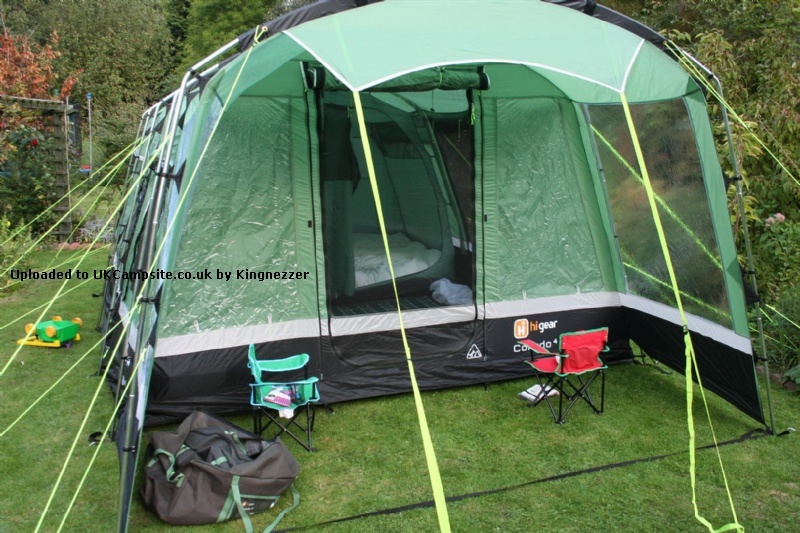 A roomy and practical tent that will house 4 campers, and all their gear, in comfort. 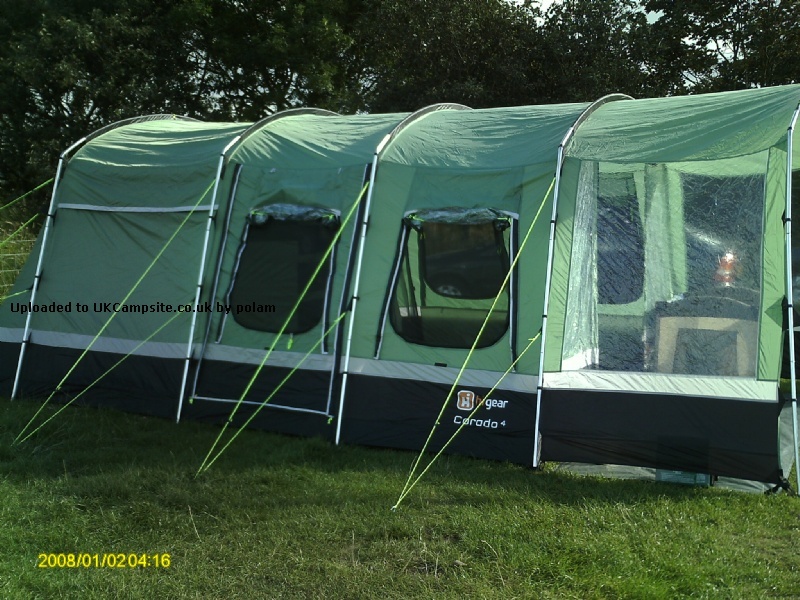 The Hi Gear Corado 4 is a large 4-person family tent that offers a great combination of space and practicality. 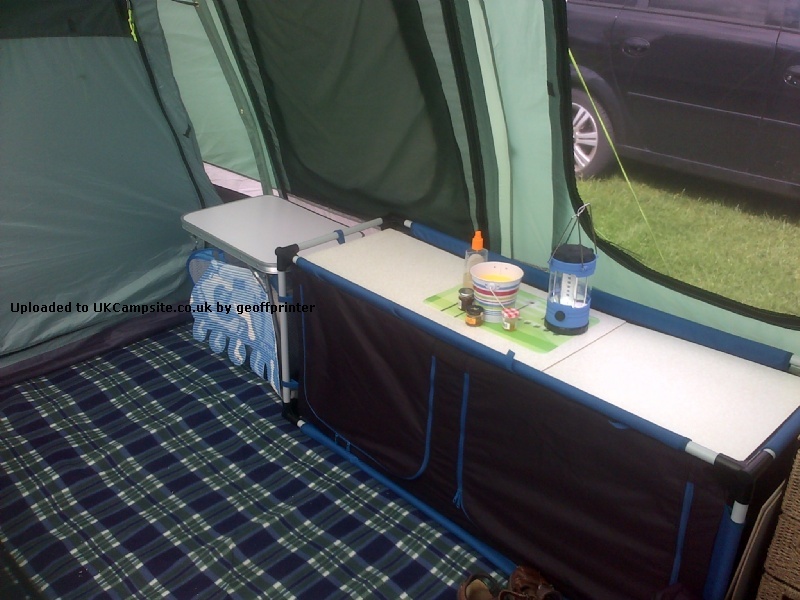 The door canopy offers the facility to cook inside or out without damaging the groundsheet, while the side entrance allows for great ventilation and lets you arrange your tent furniture however you prefer. The internal standing height allows the freedom of movement and the feeling of space. 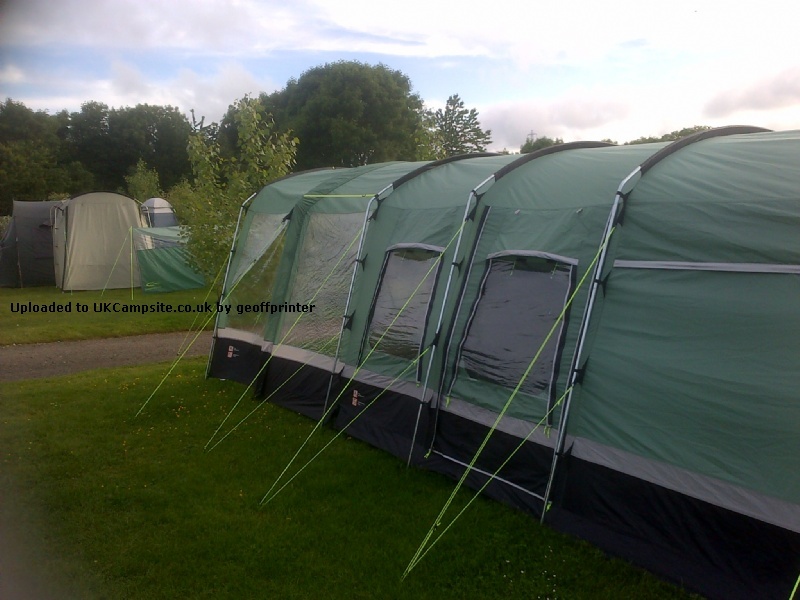 The 3000mm hydrostatic head waterproofing ensures a dry, reliable retreat in troublesome weather while the sewn in ground sheet stops the wet dew in the morning. 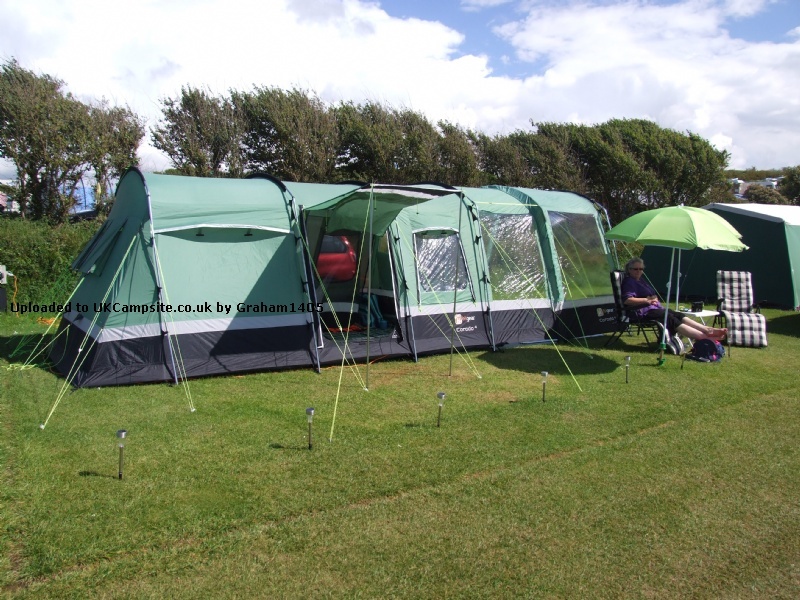 Ideal for family holidays, the Corado 4 is perfect for getting away from it all.